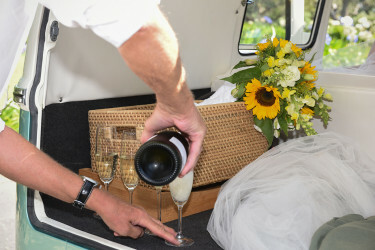 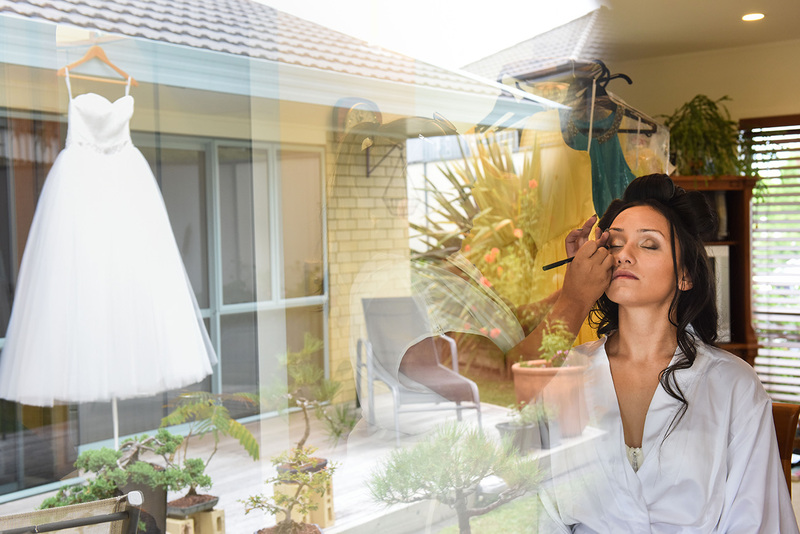 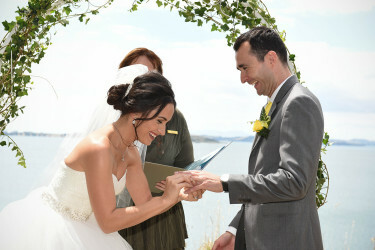 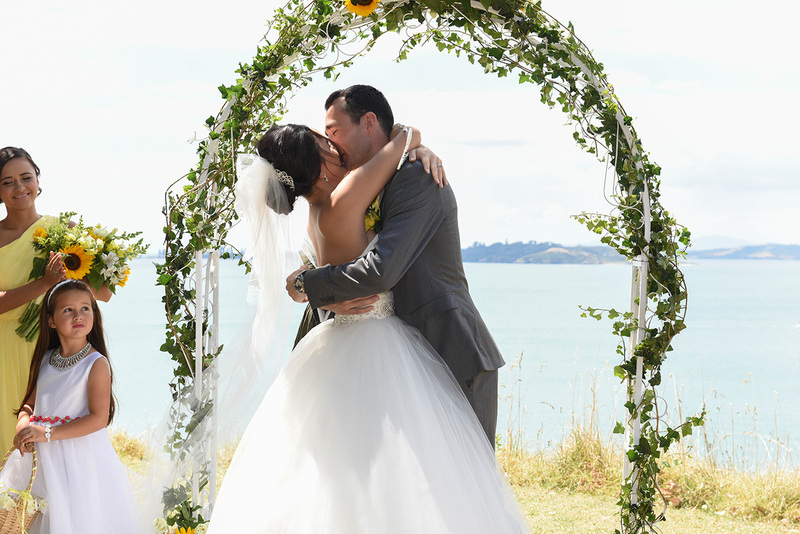 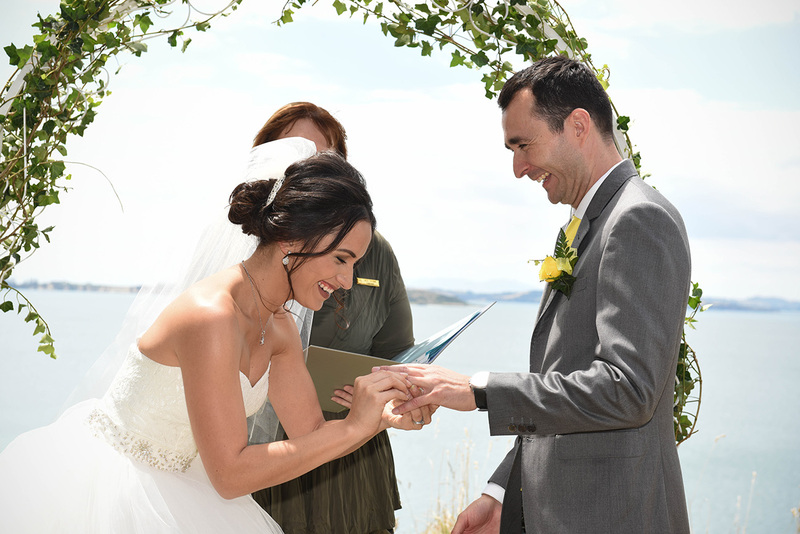 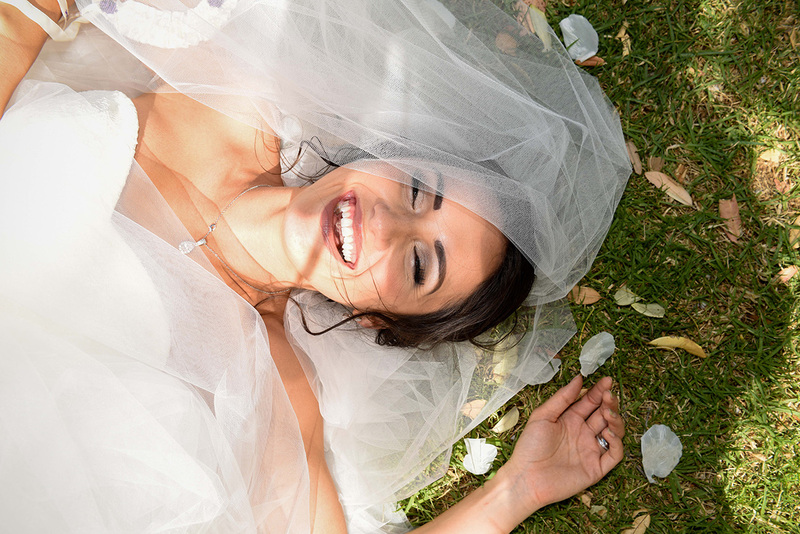 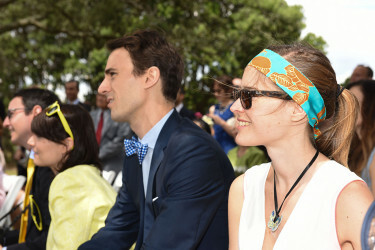 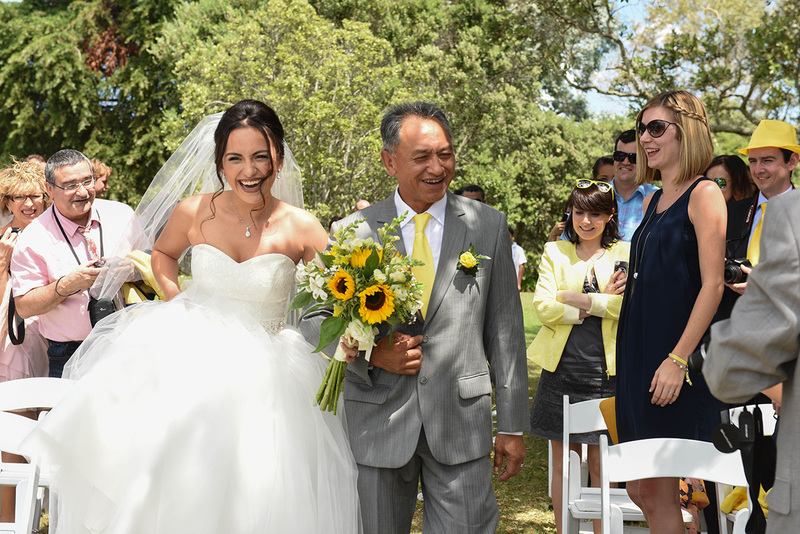 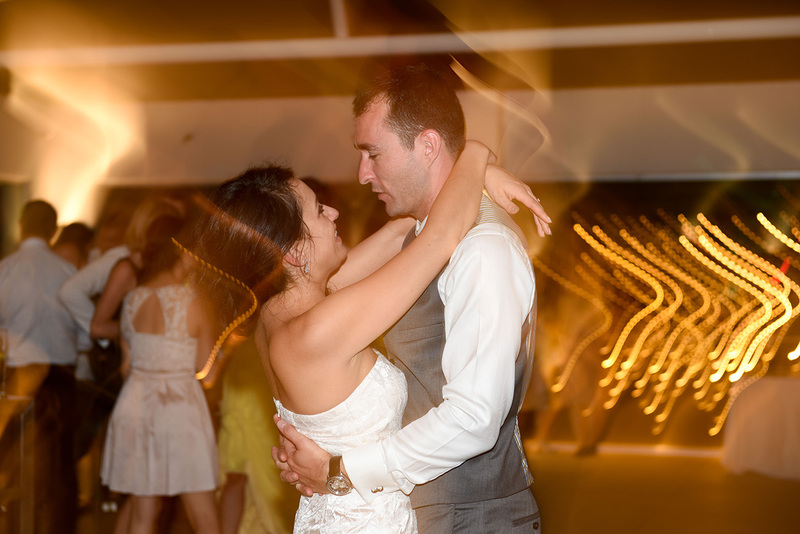 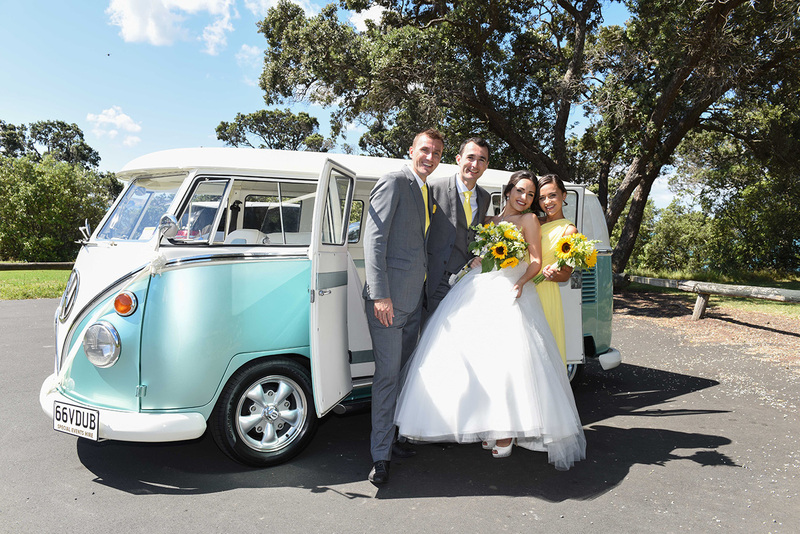 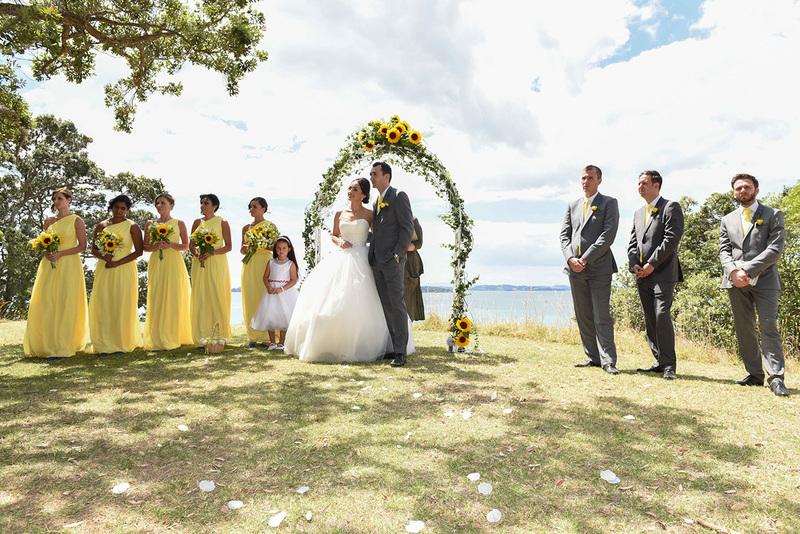 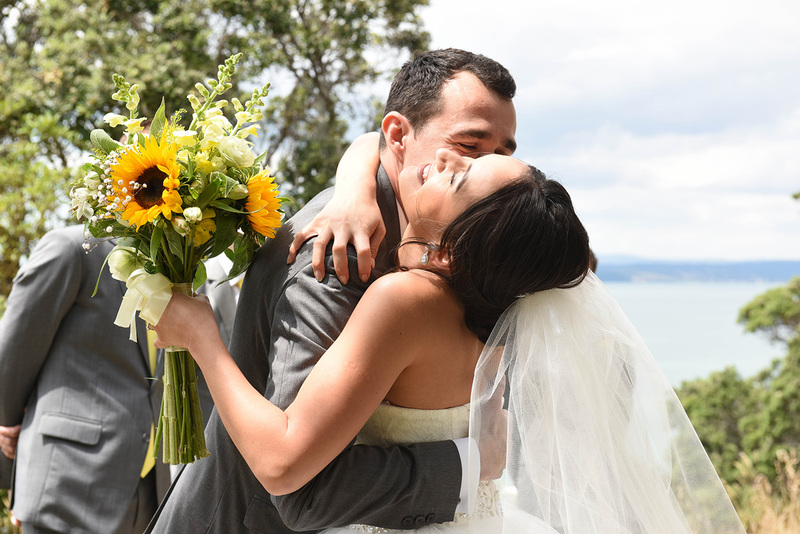 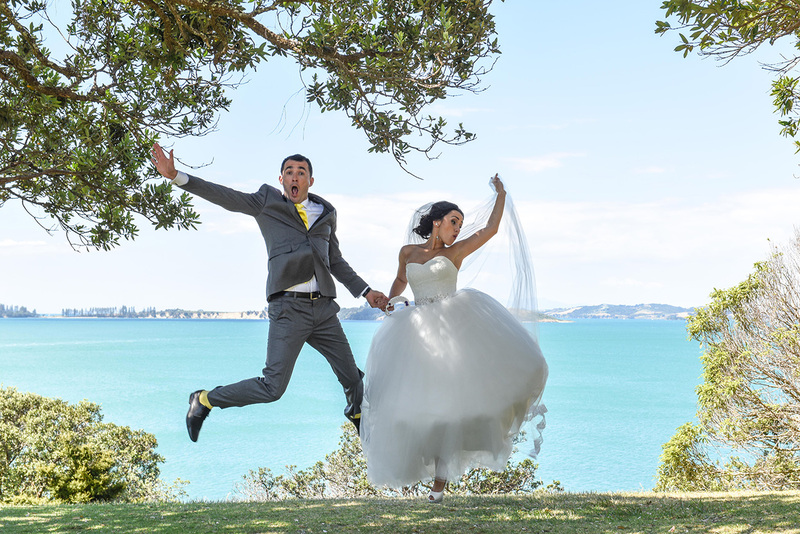 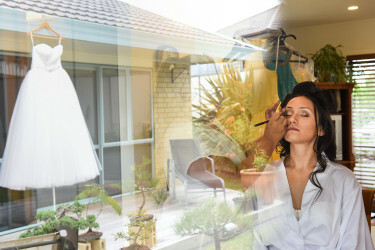 On Valentines Eve 2015, Zara and Rom exchanged vows overlooking the beautiful blue seas at Bucklands Beach – Music Point in Auckland. 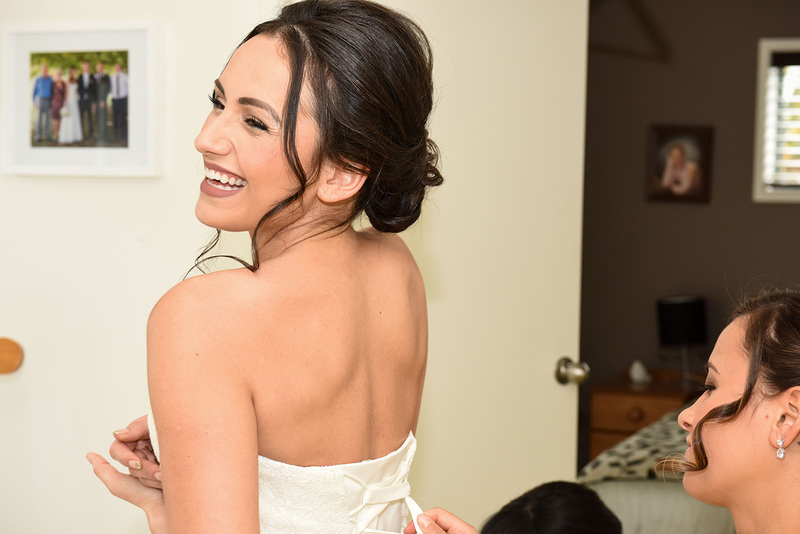 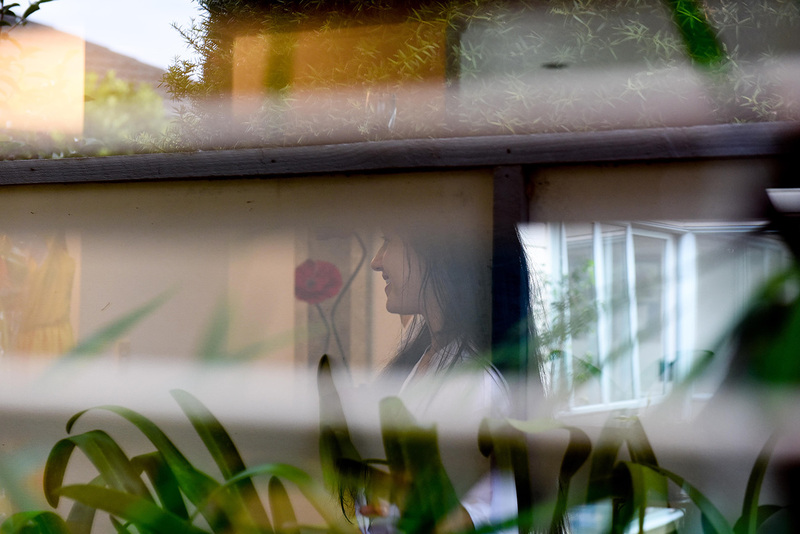 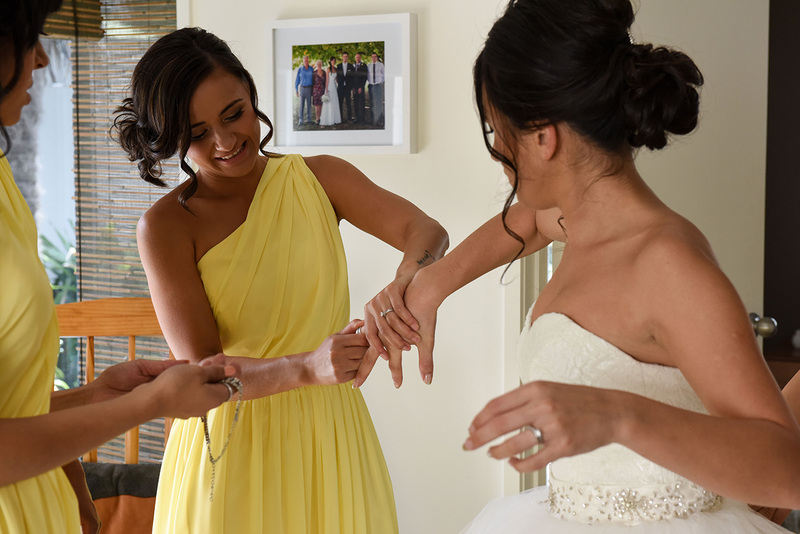 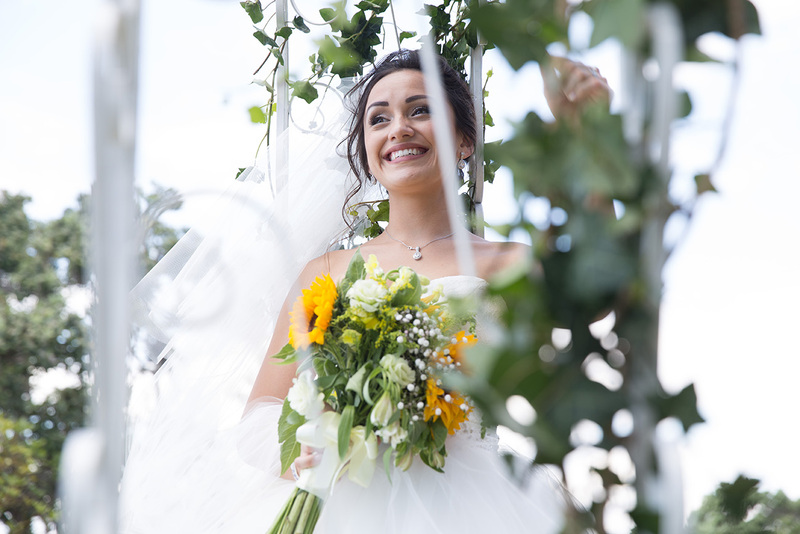 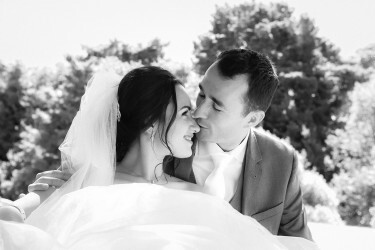 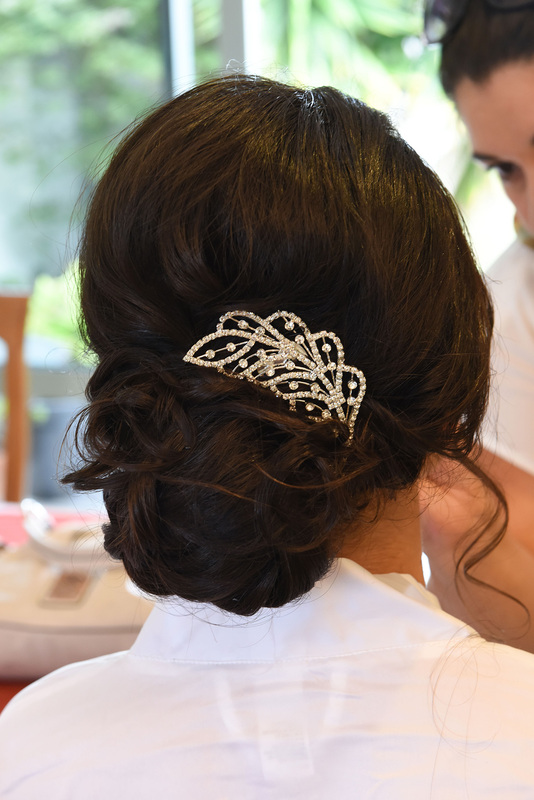 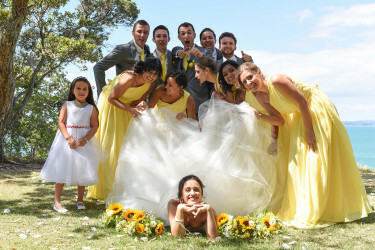 This was their second wedding (the first was held in France – Rom’s home) but that didn’t make it any less special. 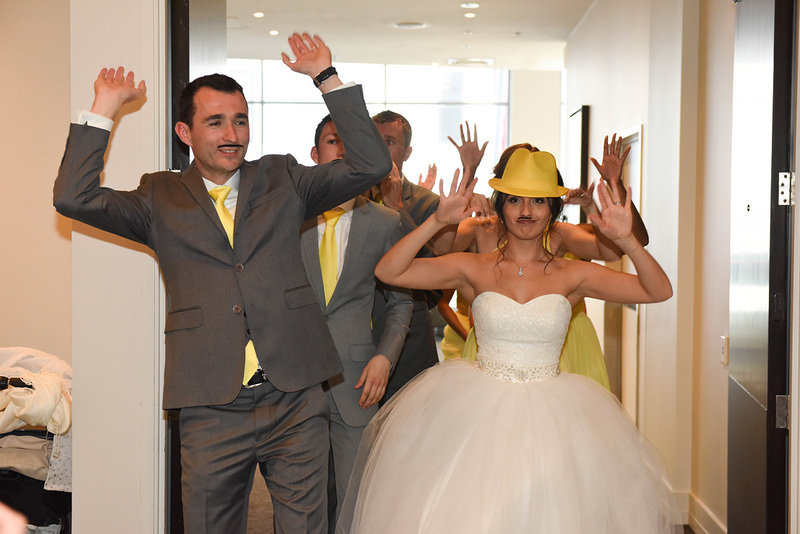 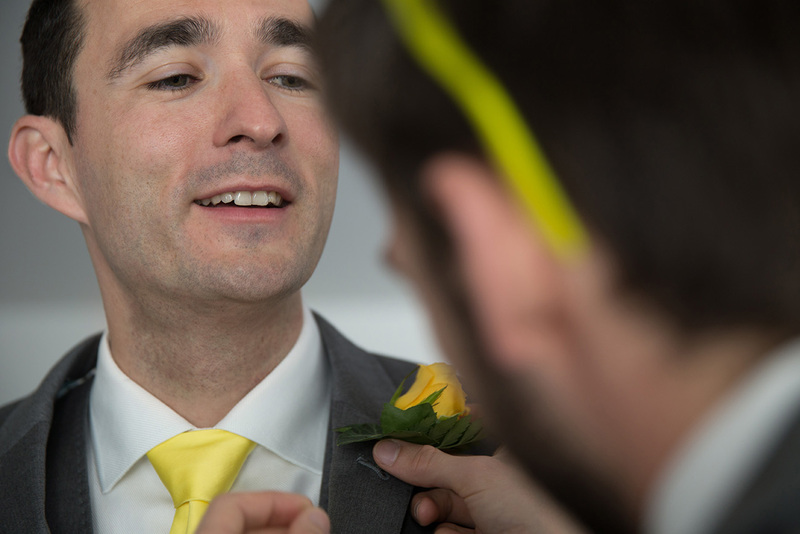 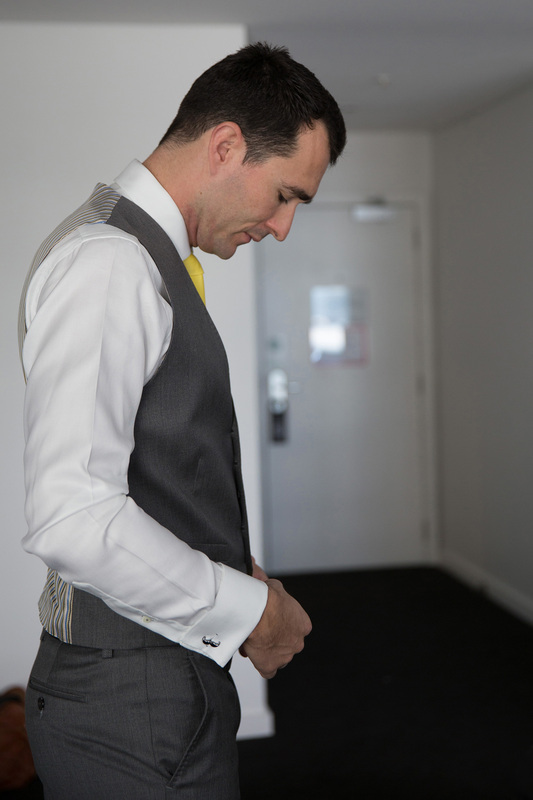 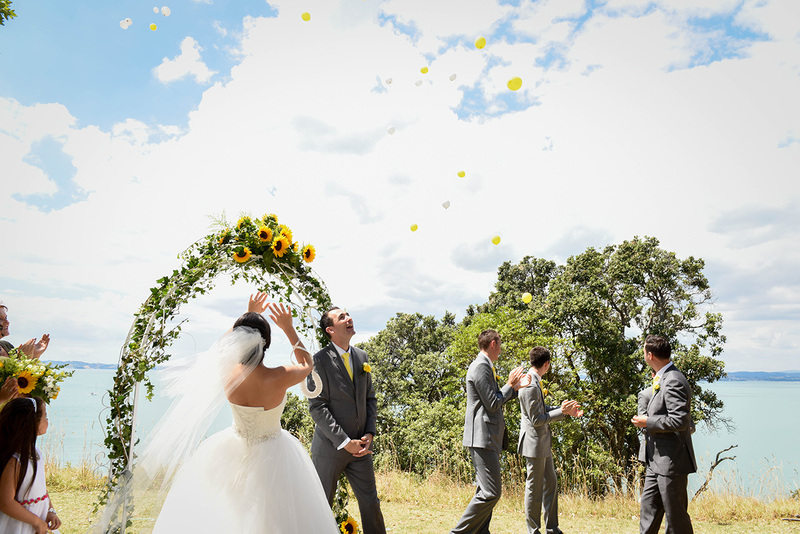 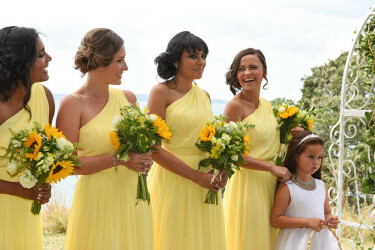 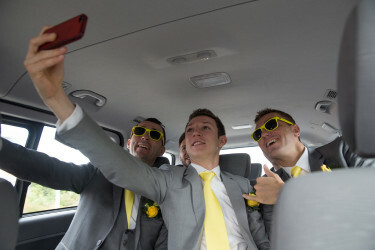 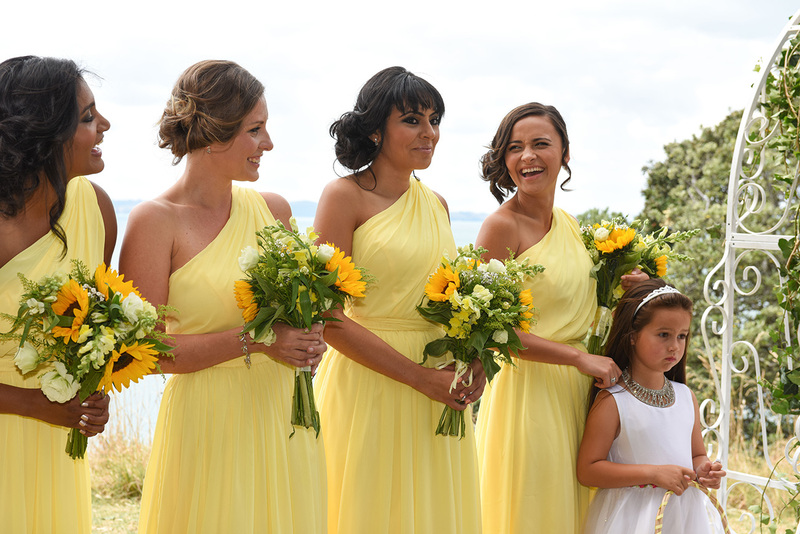 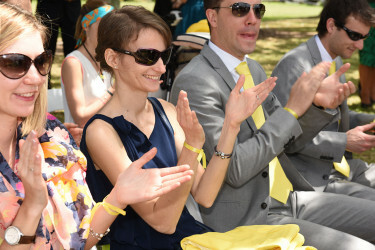 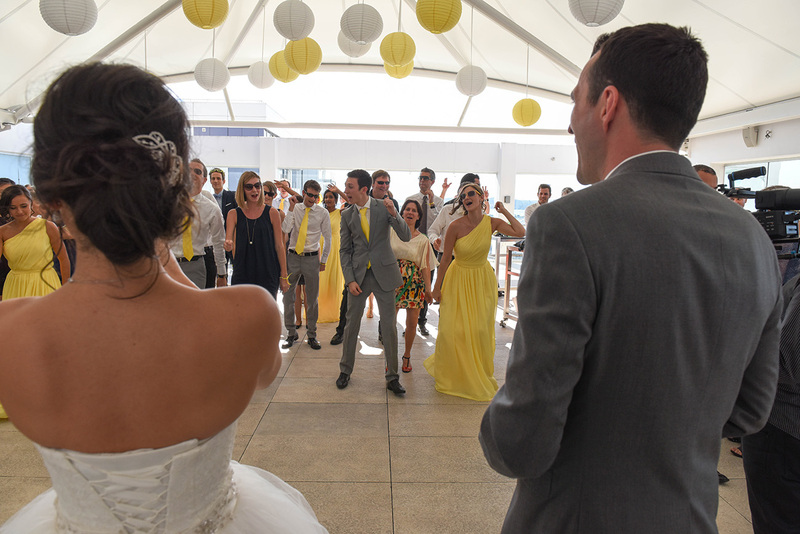 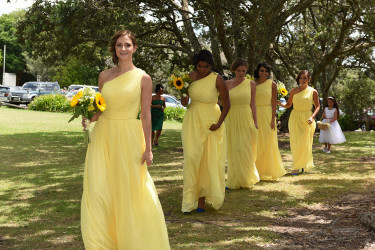 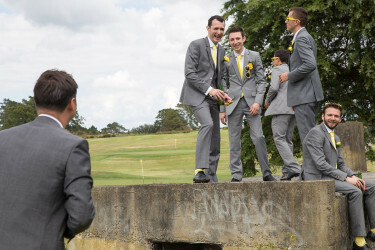 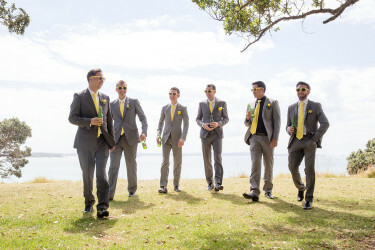 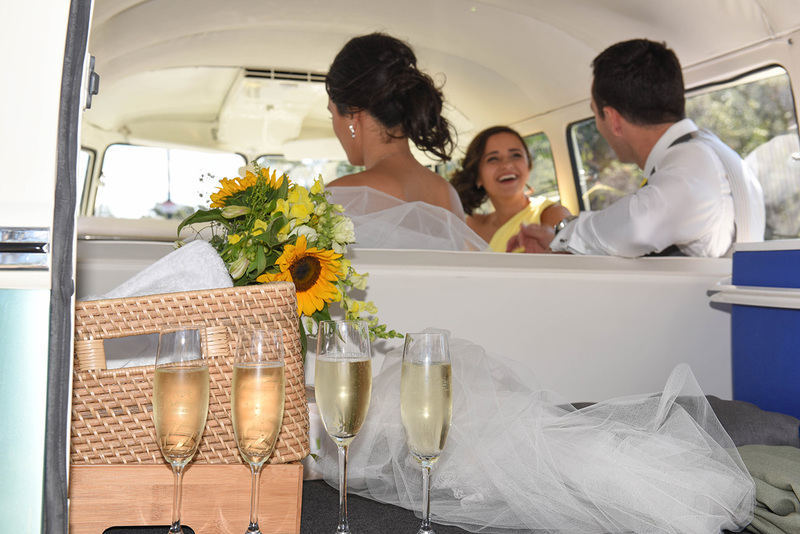 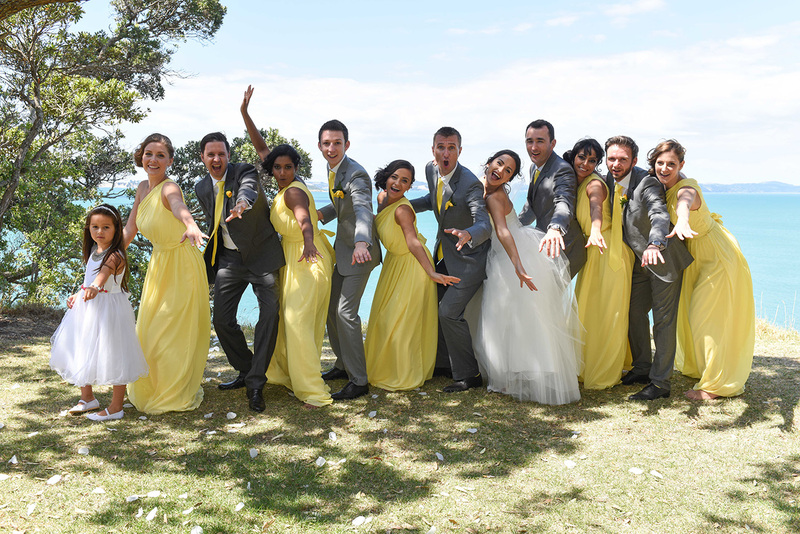 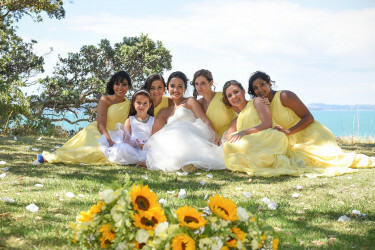 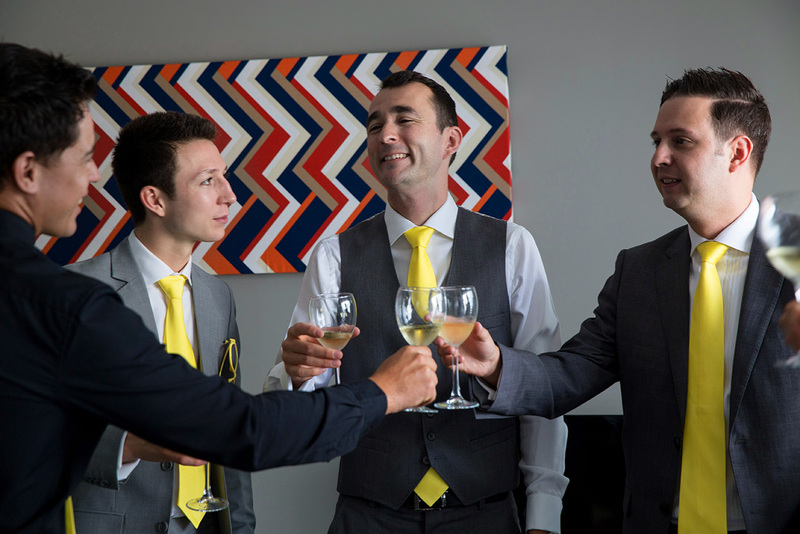 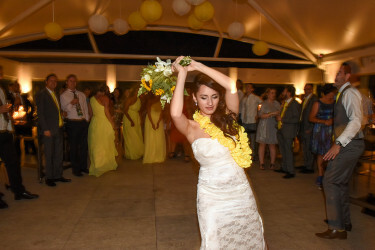 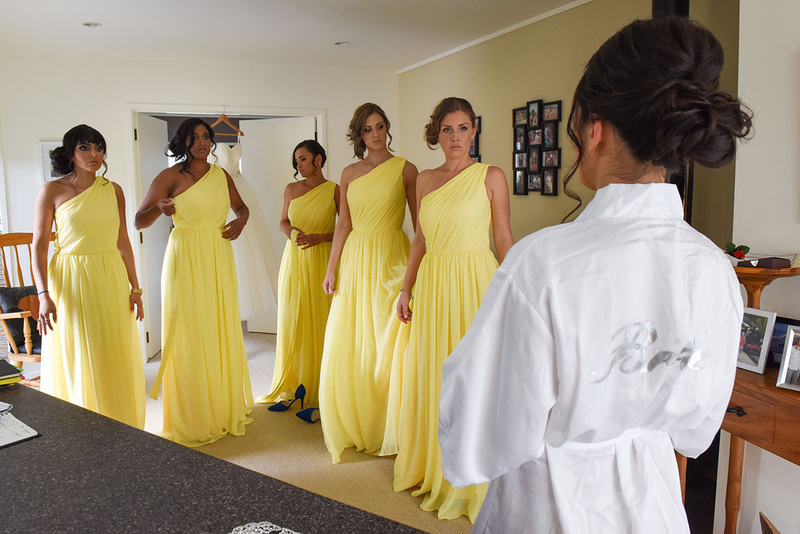 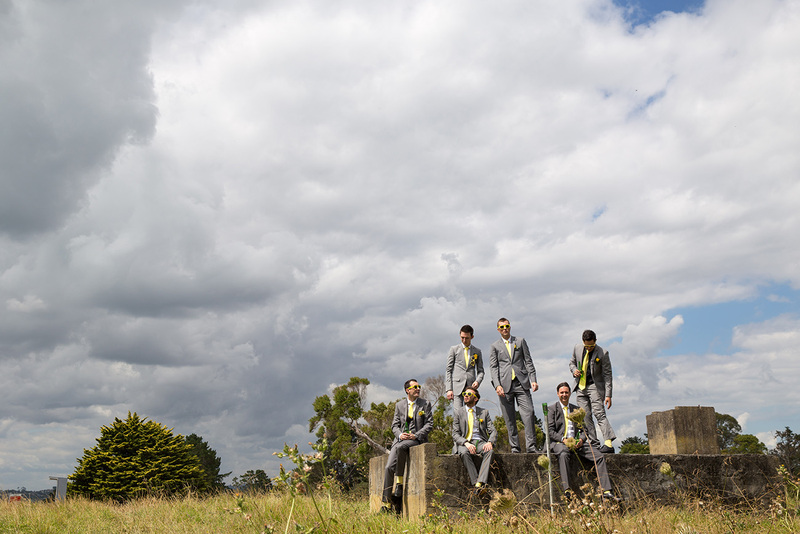 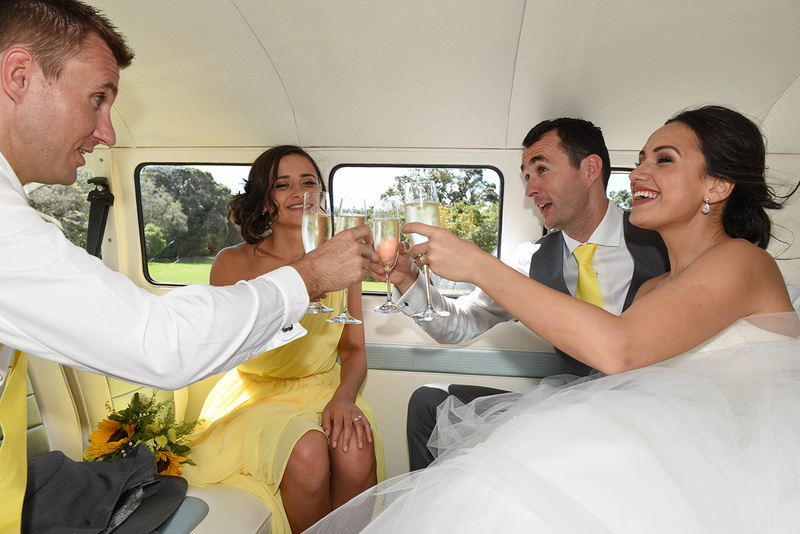 The bridesmaids looked gorgeous in yellow and the groomsmen nailed it with their yellow sunnies. 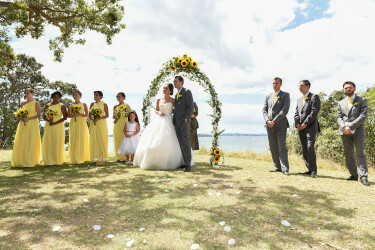 The colour complimented the beautiful weather and bright smiles on everybody’s face. 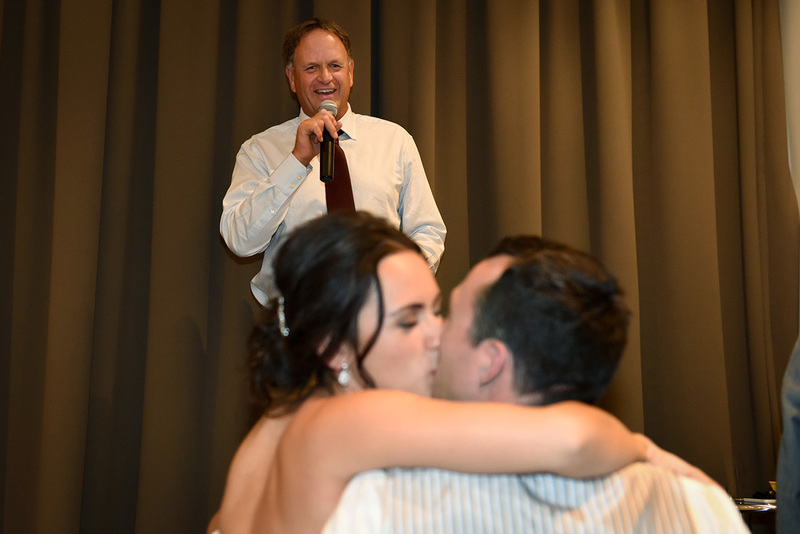 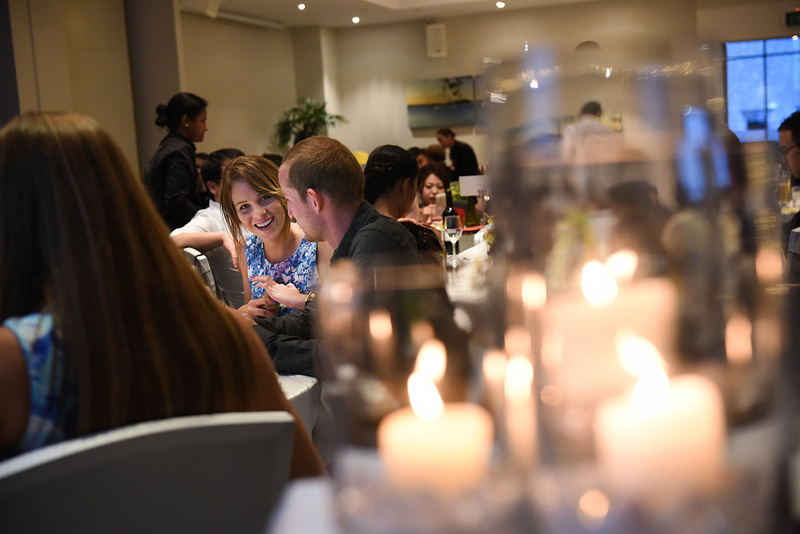 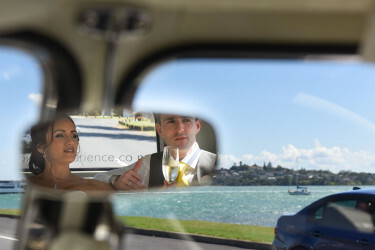 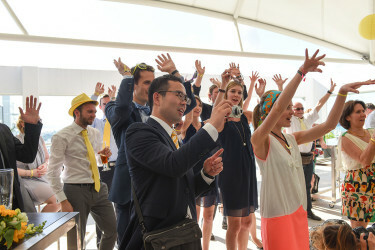 The party was then moved to The Rydge hotel, which had a stunning view of the Auckland Harbour and CBD. 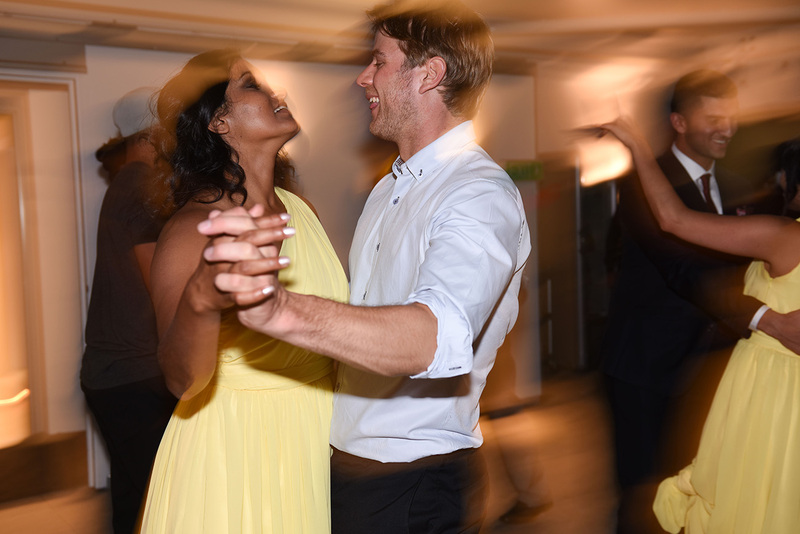 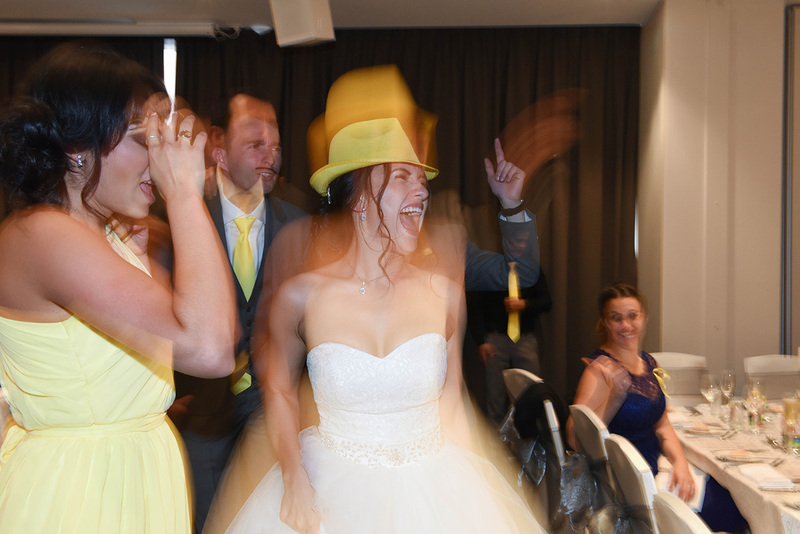 From the photo booth, to happy hour, to a flash mob for the Bride and Groom, to dinner and an after party – everybody had a great time! 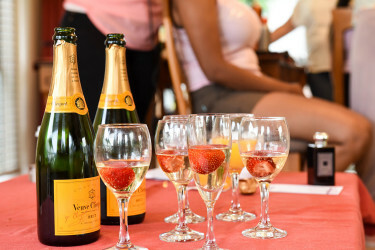 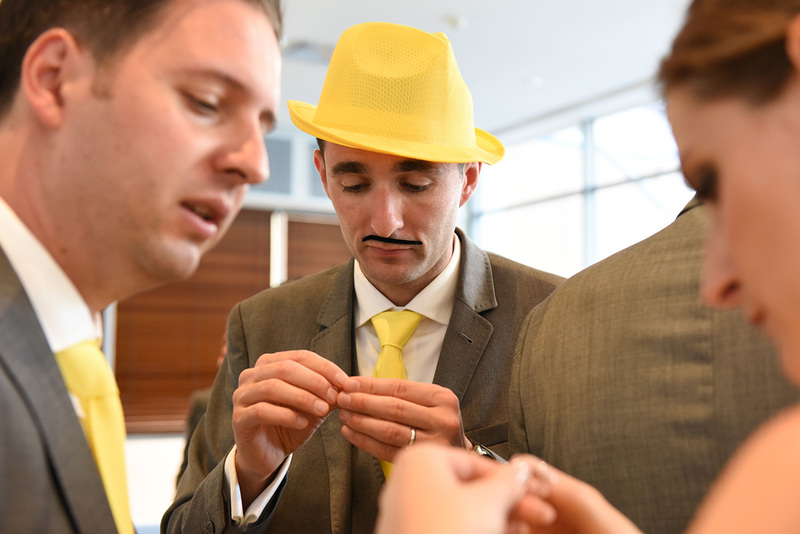 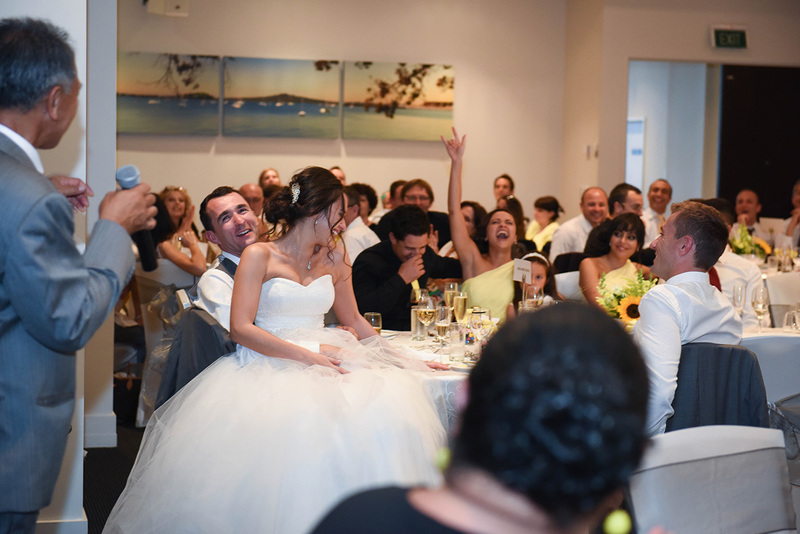 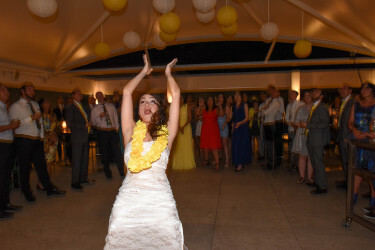 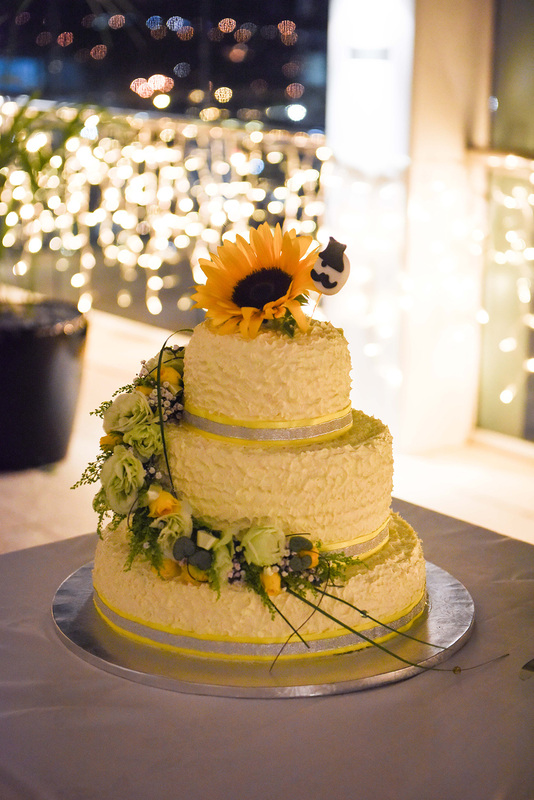 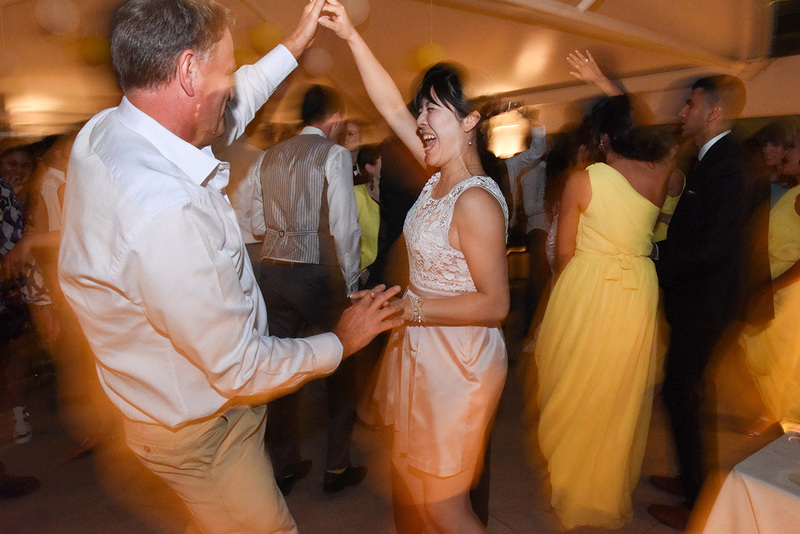 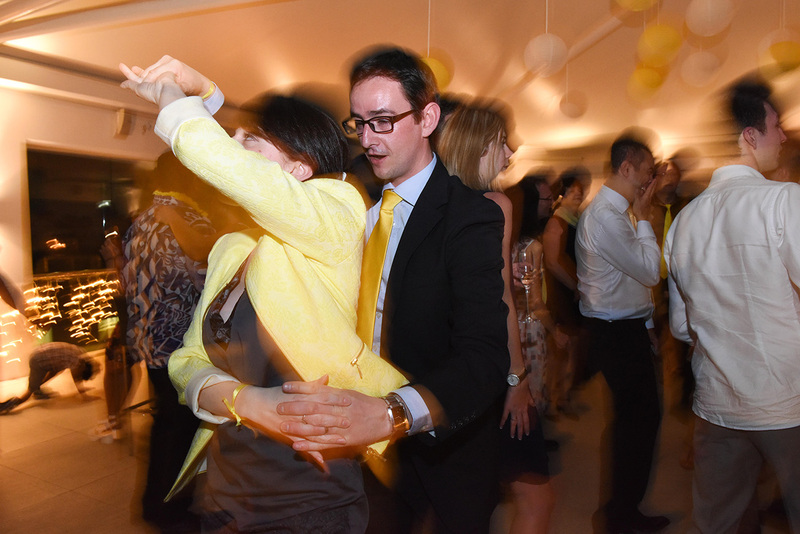 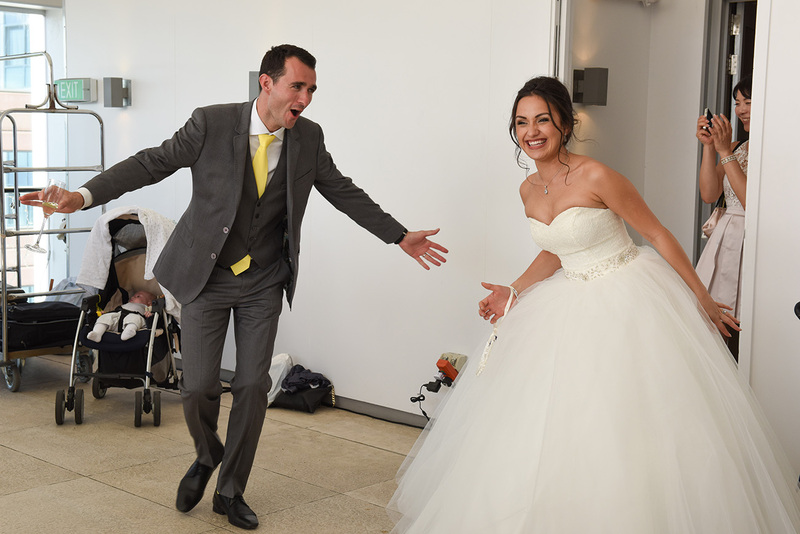 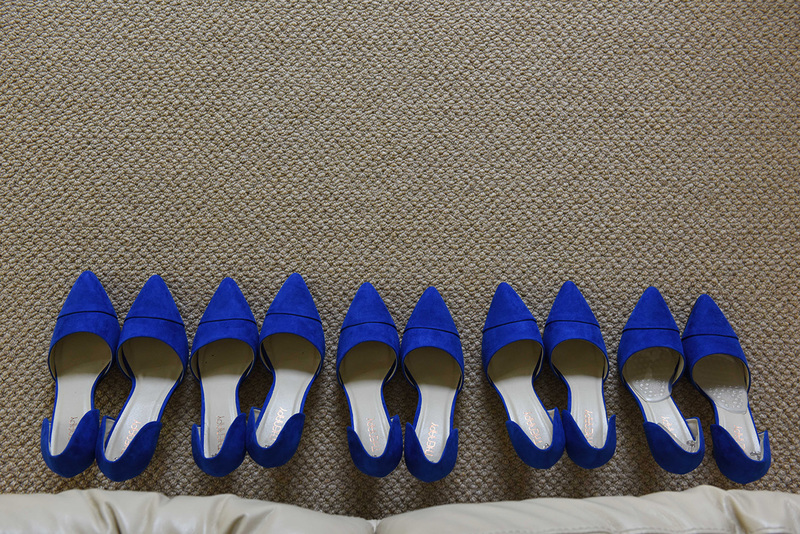 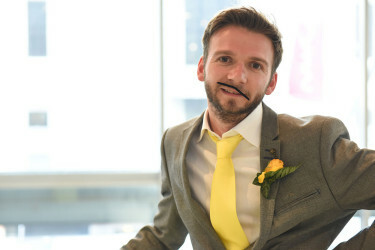 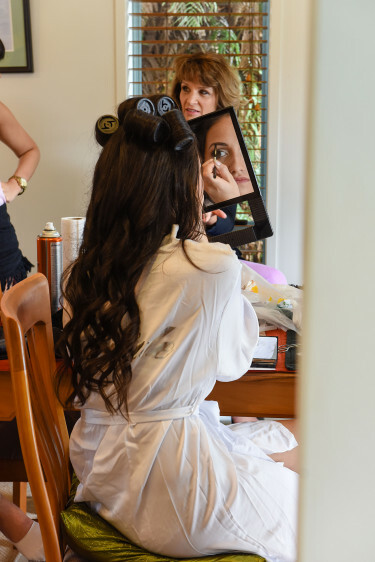 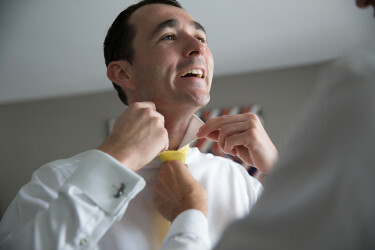 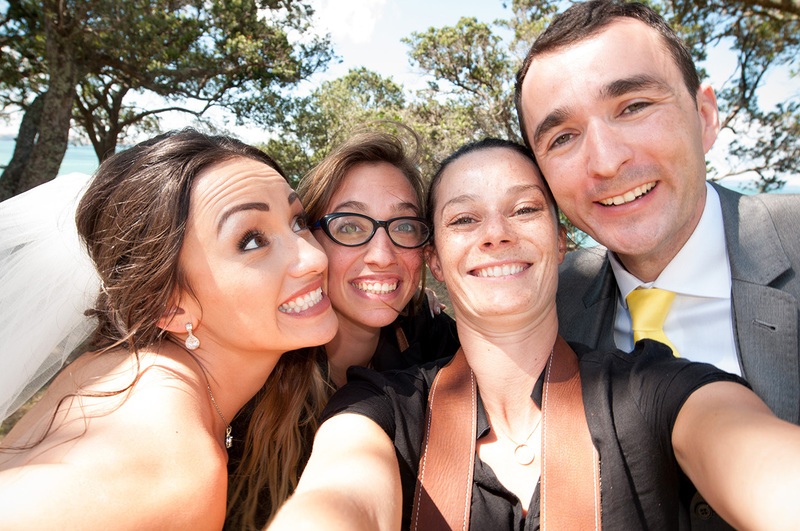 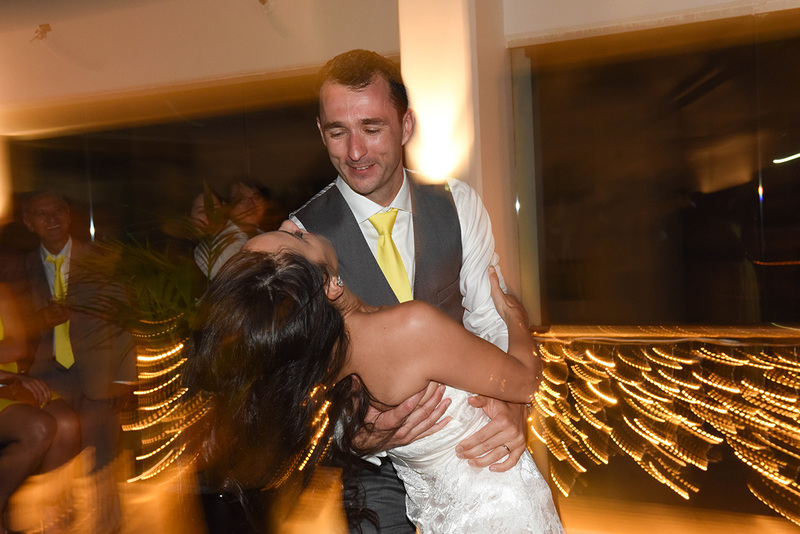 It was without doubt, one of the most fun weddings I attended. 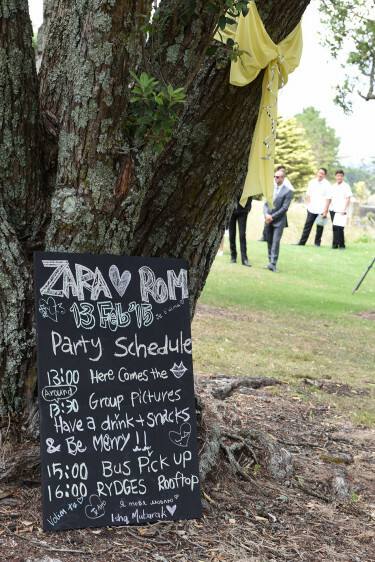 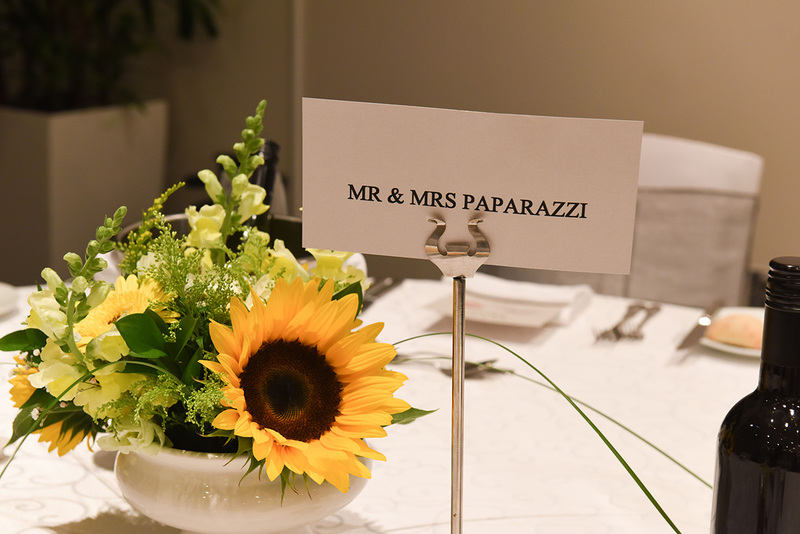 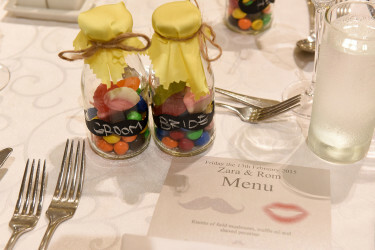 All the best to the fun and crazy couple – Zara and Rom.